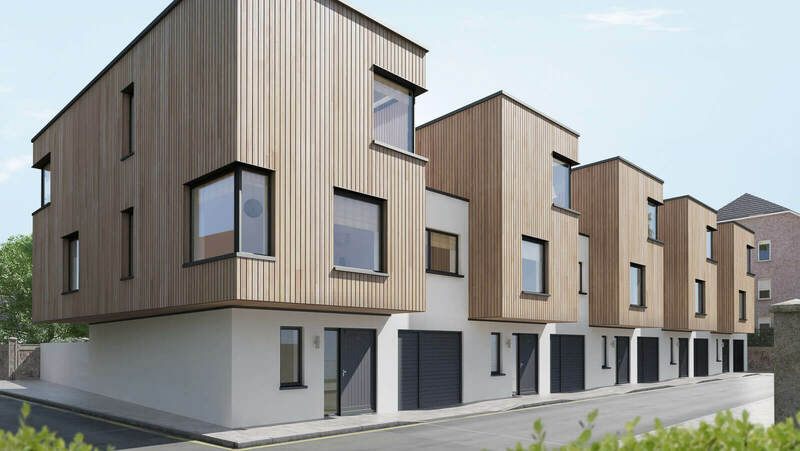 This mews development was located to the rear of an existing terrace of houses in Dublin. A minimum of four units had to be accommodated on the site to make the development economically viable. By making the houses three storey we managed to accommodate a terrace of five houses with a larger residential unit on the corner. To reduce the overall visual impact of the scheme we introduced projecting “timber boxes” on the first and second floor. This helped to break up the front elevations and increase the overall gross floor area of the residential units. To make the development viable the residential units had to be cost effective to build- hence the storey and a half design. 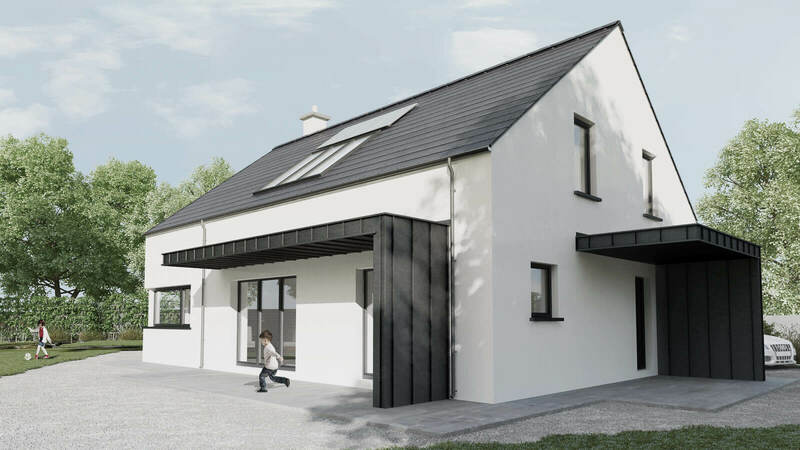 The units have a number of internal layout options with the void area on the first floor convertible to an additional room if required.